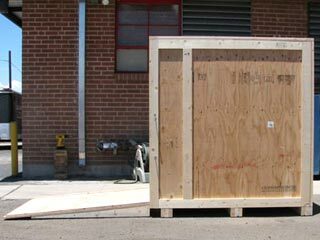 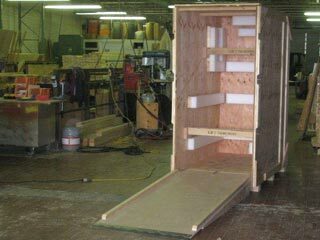 Caseworks crating manufactures custom wooden shipping crates with a ramp for easier access to the inside of a shipping crate. 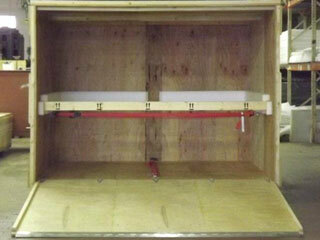 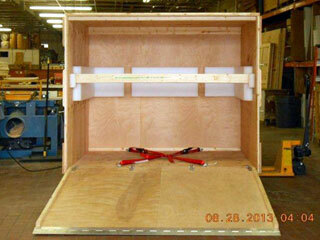 Our company designs each ramp crate custom depending on the cargo and amount of ramp strength required. 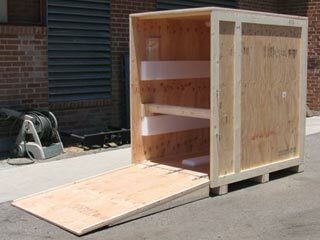 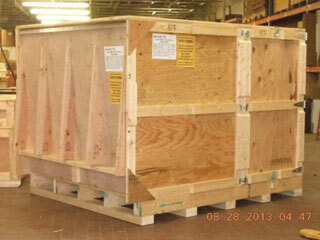 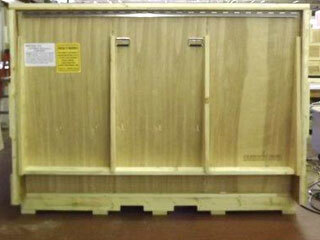 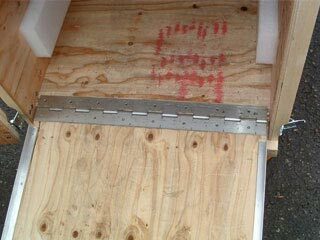 Our custom made shipping crates with ramps are built to withstand heavy-duty shipping requirements. 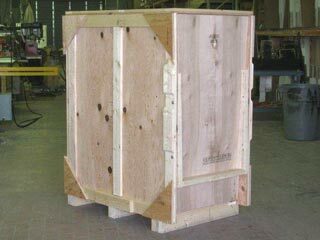 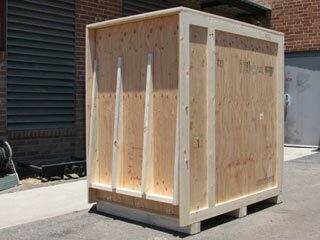 We provide crating solutions for all types of shipments, from small scale to mass production of custom industrial strength ramp crates. 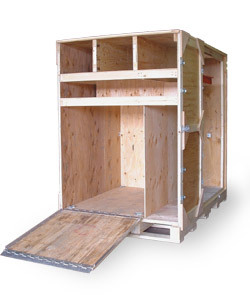 High-quality wood shipping crates with ramps make loading and unloading easier and can be used several times over again. 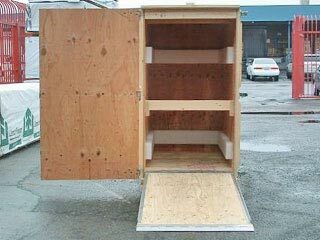 We are able to manufacture wood shipping crates with ramps to suit the requirements of our customers in any number of large or small quantity, adding any custom features you require such as foam padding. 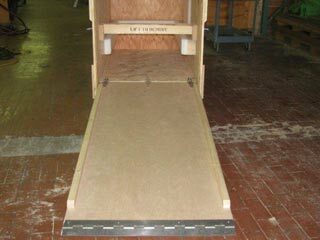 Custom Wooden Shipping Crate with ramp, foam padded.